Priyanka Singh joined GHP as an associate attorney in 2017. 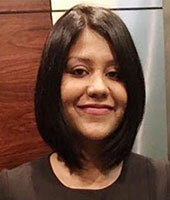 Priyanka focuses her practice on humanitarian cases- U visa, WAVA, Asylum and removal defense, and rendering legal advice on issues pertaining to Indian law. Being an immigrant herself, she finds helping people navigate the complex immigration process to be most satisfying. Prior to her position as an attorney, she worked as a law clerk and as an interpreter at GHP and volunteered at Northwest Immigrant Rights Project, Colectiva Legal, and KIND. Priyanka has a Master of Laws from University of Southern California and is admitted to practice in New York and India.